What! My Flood Policy Doesn’t Cover Flood Damage?! 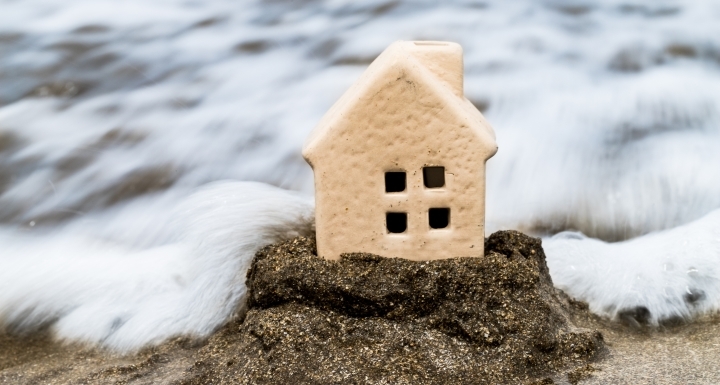 This, and Other Pitfalls of NFIP Flood Insurance Policies - Ward and Smith, P.A. FEMA oversees the program and writes the terms of the Standard Flood Insurance Policy (the "Policy"), and the Federal government pays claims. Since the NFIP is a government program designed to help those suffering from flood damage, you might think that the claims process is worry-free. Unfortunately, that could not be more wrong! The Federal government allows private insurance companies to sell flood policies using the Policy that FEMA has drafted through what is called the "Write Your Own" or "WYO" program. The Federal government pays these private insurance companies certain fees for administering these claims. Although the money to pay for covered NFIP claims comes from the Federal government, a private insurance company will make all decisions in the claims process. Under North Carolina law, insurance companies are prohibited from acting in "bad faith" by engaging in conduct such as unreasonably delaying claims or refusing to pay without good reason. If an insurance company acts in "bad faith," the insured may be able to recover punitive damages. The prospect of "bad faith" claims and other remedies under North Carolina law help keep insurance companies accountable for their actions and deter unfair practices. Allstate has endeavored at every step of the process to deny coverage to plaintiffs' worthy claim…This is an example of the worst kind of misconduct on the part of an insurance carrier with one of its insured: plaintiffs did everything they knew to do, including providing strong and uncontroverted proof that the damage to the house was from the flood waters, and, yet, Allstate engaged in a long pattern of denial and cover-up. This exclusion does not become an issue in the most common NFIP claim – where floodwaters enter a home and damage floors, walls, or other interior finishes. However, this exclusion is a very big issue for any NFIP claim that relates to a home or building's foundation. If, for example, floodwaters wash away or undermine the soil supporting a home's foundation, resulting in shifting, sinking, tilting, or destabilization of the structure and/or cracking or separation of supporting walls, the "earth movement exclusion" could mean a denial of the claim. Likewise, if, during or after the flood event, a portion of the foundation settles, causing cracking or separation of walls and/or uneven surfaces, the "earth movement exclusion" may mean a denial of the claim. Court decisions interpreting this exclusion depend on the detailed facts of each case and can be unpredictable. The "earth movement exclusion" is particularly surprising because it excludes coverage for damage that unquestionably was caused by a flood. As a result, understanding the precise nature of the damage to your home and presenting it to your insurance company with precision is critical to having your claim paid. If the foundation of your home or building was impacted by Hurricane Florence, you are in particular need of experienced assistance in navigating the NFIP claim process. A "Proof of Loss" is the document that informs the insurance company what was damaged, how it was damaged, and how much you expect the repairs to cost. The Proof of Loss must be submitted to the insurance company within 60 days from the date of loss, unless FEMA has published an extended deadline, as it did for Hurricane Florence claims (see below). FEMA has published an official Proof of Loss form on its website. FEMA has issued a bulletin that seems to relax this requirement for Hurricane Florence claims, but which may be a trap for unwary flood victims. The bulletin, dated September 18, 2018, directs WYO insurance companies to pay flood claims from Hurricane Florence based on signed reports from their adjusters without requiring Proof of Loss forms from the insured. While this sounds helpful to flood victims, keep in mind that this only applies to amounts which the insurance company and its adjuster have initially decided to pay. Often, owners are not satisfied with these initial offers. A Proof of Loss is likely still required if the homeowner does not agree with the amount in the insurance company adjuster's report. FEMA's September 18, 2018 bulletin formally extends the deadline to submit the Proof of Loss forms for Hurricane Florence flood claims until 365 days from the date of loss. Notice that this 365-day deadline runs from the date of loss, meaning the first date that floodwaters could possibly have caused damage to your home, not 365 days from the date that FEMA's September 18, 2018 bulletin was issued. It is not sufficient to send in any Proof of Loss. Federal regulations require a "complete" and "adequate" Proof of Loss. To be complete and adequate, the Proof of Loss must include, among other things "detailed repair estimates." There are several difficulties with the requirement that a flood victim provides "detailed repair estimates." First, there is no definition of what this means. In other words, how detailed is detailed enough? Clearly, just providing a single number representing the total cost to repair is not sufficient. Breaking down the needed repair work into all required categories, such as "drywall," "flooring," or "equipment rental," and providing a cost estimate for each category is likely sufficient. However, some WYO insurance companies have claimed that specificity such as the number of feet of drywall and the price per foot of drywall must be included. Third, FEMA's form Proof of Loss does not provide space for a homeowner to list a detailed repair estimate, nor does the form provide any type of formatting or guidance on how to do it. Instead, the form Proof of Loss is one page. This may lead a homeowner to assume that brevity is expected when the opposite is true. If an NFIP flood claim is denied, either in whole or in part, by a WYO carrier, an owner has two options: (a) appeal to FEMA and ask FEMA to review the insurance company's decision to deny the claim, or (b) file a lawsuit against the insurance company. Not surprisingly, both of these options come with deadlines. If the owner elects to appeal the denial to FEMA, written notice must be submitted to FEMA within 60 days of the insurer's denial of the claim. FEMA will then confirm receipt of the appeal and request any additional information that it may require. FEMA states that it will make a decision on the appeal within 90 days of its receipt of all requested information. If the owner is unsatisfied with FEMA's decision on appeal, the next step is to file a lawsuit. Note that an appeal to FEMA is not necessary and that a lawsuit can be filed upon receipt of the denial from the insurance company. Whether or not an appeal with FEMA is filed, the owner has a firm deadline to file a lawsuit. A suit must be filed against the insurance company within one year from the date of the insurance company's denial of the claim. Further, any lawsuit against a WYO insurance company must be filed in the Federal District Court for the district where the property is located. Flood victims may not file a lawsuit in their local state courts. This one-year deadline to file a lawsuit may be confusing in several ways. For example, an owner might logically think that the deadline is a year from receipt of FEMA's decision on appeal. That is incorrect. Or, it is possible that FEMA would not issue a decision on an owner's appeal within a year from the date of the flood. If that happened, the owner would need to file the lawsuit by the one-year deadline even though FEMA had not yet made a decision on the appeal.